This paper provides a framework for setting quantitative risk targets for risk assessment of Wind Turbine Sites. This document is intended to be read in conjunction with ESC document: P154_RC002 rev. 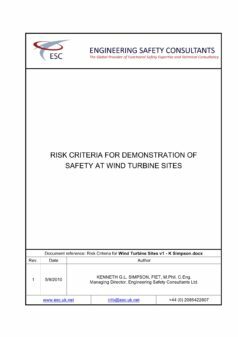 2: Risk Criteria for Demonstration of Safety at Wind Turbine Sites Data Set.